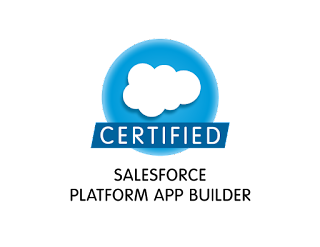 Few days ago, cleared Salesforce Platform App Builder Certification Transition exam, its my 7th Salesforce Certification, I have DEV401 so for me its was 30 minutes exam, having 20 questions, but if you don't have DEV401 then it will be 60 mutliple choice questions for you for 120 minutes, if you have DEV401 and ADMIN 201 then it will be easy for you to clear the exam. Even though I would recommend to study before appearing in the exam. To know more about the exam click here. I don't remember the questions, but the above topics are more than enough to clear the exam, please do go through the study guide. Passing percentage is 65% that means at least 14 questions should be correct. 1. Read the questions carefully and the options, many question were TRUE and FALSE and Multiple answer questions. 2. Don't know the right answer, no worries, search for the wrong one, it will clear off your confusion. 3. Easy exam, but don't take it lightly, prepare yourself then go for it. Cisco Unified Communications braindumps questions related to the field are preferred by the companies due to their added information and skillset. The Cisco Unified Communications exam braindumps collection have been preferred in the whole world and have gained huge popularity in recent years.